I prac­tise a very gentle form of tra­di­tion­al acu­punc­ture at my Brisbane acu­punc­ture clin­ic in Woolloongabba, at the fam­ous Gabba Cricket Ground. I have been in this loc­a­tion at the Queensland Sports Medicine Centre for the past 14 years. In that time, I have gone through sev­er­al phases in my acu­punc­ture prac­tice – and these phases are not mutu­ally exclus­ive but rather inclus­ive. Initially, I worked pre­dom­in­antly with elite sportspeople from this acu­punc­ture prac­tice in Woolloongabba. In the hal­cy­on years of the Brisbane Lions AFL Football Club (1998- 2004), I was integ­rally involved in using acu­punc­ture as a form of sports medi­cine with mem­bers of the Brisbane Lions foot­ball team. It was an extremely excit­ing time and I would like to think I played a role in see­ing the Brisbane Lions bring home three AFL Premierships in that peri­od. I still work with elite sportspeople. One of the off­shoots of work­ing with the Brisbane Lions at that time was that I did a lot of work with the full for­ward, Alistair Lynch — a won­der­ful per­son and an incred­ible ath­lete. He had a much pub­li­cised case of chron­ic fatigue syn­drome. My work­ing with Alistair opened up a num­ber of doors to oth­er elite ath­letes who were suf­fer­ing from chron­ic fatigue syn­drome, includ­ing a num­ber of swim­mers such as Daniel Kowalski who suffered from a vari­ety of chron­ic fatigue symp­toms. Another elite ath­lete, Emma Snowsill, Australia’s gold medal triath­lete, also benefited hugely from the acu­punc­ture treat­ment that I provided for her when she was exper­i­en­cing chron­ic fatigue syn­drome. My acu­punc­ture prac­tice then gradu­ally evolved from work­ing with sports injur­ies and asso­ci­ated fatigue prob­lems to work­ing with the chron­ic fatigue issues of youth and busi­ness people. Then, in what is unusu­al for a sports medi­cine centre, I became more focused on using acu­punc­ture for pre-nat­al care, work­ing with expect­ant moth­ers. This came a as a res­ult of my being a gen­er­al acu­punc­ture prac­ti­tion­er who spe­cial­ises in dif­fer­ent applic­a­tions of this form of altern­at­ive med­ic­al prac­tice. I have done an extraordin­ary amount of pre-nat­al work and seen many preg­nant women, help­ing them pre­pare for a less ardu­ous child­birth. Associated with this devel­op­ment, I have used acu­punc­ture for morn­ing sick­ness, water reten­tion in preg­nancy, gest­a­tion­al dia­betes and for prob­lems with mast­it­is and with breast­feed­ing. These three areas of the early phases of my Brisbane acu­punc­ture clin­ic became integ­rated into my acu­punc­ture prac­tice – deal­ing with sports medi­cine, chron­ic fatigue and pre-nat­al care. I have also done an enorm­ous amount with chil­dren at my Woolloongabba clin­ic. It is quite iron­ic and very inter­est­ing to walk out into the wait­ing room of the Queensland Sports Medicine Centre and see lots of young people and sportspeople, and amongst them two or three preg­nant women wait­ing to come into my acu­punc­ture clin­ic. It is a very spe­cial feel­ing, and it is a priv­ilege also, to work with such a vari­ety of people and help them over­come some dele­ter­i­ous health con­di­tions. As a res­ult of work­ing with pre-nat­al scen­ari­os, I have also done quite a bit of work help­ing women to fall preg­nant, and some­times, provid­ing acu­punc­ture treat­ment in con­junc­tion with the IVF Programs that are avail­able to women. This form of preg­nancy acu­punc­ture is incred­ibly reward­ing work and I like to say I enjoy this area of my prac­tice as the suc­cess rate is very encour­aging. The next phase I evolved into is oph­thal­mic acu­punc­ture, and again, I emphas­ise I am tak­ing each phase with me – I am not leav­ing any of them behind. I have the priv­ilege of being asso­ci­ated with Dr. Andy Rosenfarb, a very fam­ous acu­punc­tur­ist in the United States. He has worked with people all over the world with degen­er­at­ive eye dis­ease. As a res­ult of this asso­ci­ation, I now do a lot of work with people suf­fer­ing from vari­ous degen­er­at­ive eye dis­eases and eye con­di­tions such as ret­in­it­is pig­mentosa, wet and dry mac­u­lar degen­er­a­tion, dry eyes and Stargardt’s dis­ease – a pleth­ora of dif­fer­ent degen­er­at­ive eye con­di­tions. Again, acu­punc­ture for the eyes is adding anoth­er arrow to my quiver, if you like. This move­ment through the phases is a product of being in acu­punc­ture prac­tice for more than 30 years – res­ult­ing in the evol­u­tion of my work and integ­ra­tion as an acu­punc­tur­ist. The beauty of this exper­i­ence is that I am able to take each phase with me as I evolve my prac­tice in the 21st cen­tury. I have also done a lot of work espe­cially with young people who are suf­fer­ing from glandu­lar fever – such a dele­ter­i­ous situ­ation. I find many people, espe­cially those in juni­or high school and seni­or high school suf­fer­ing from this con­di­tion. It is such a debil­it­at­ing con­di­tion for them when they are under so much pres­sure with their exams and per­form­ance cri­ter­ia. To have these young people car­ry­ing a debil­it­at­ing con­di­tion like glandu­lar fever and try­ing to sat­is­fy per­form­ance stand­ards in the cur­rent edu­ca­tion scen­ario, is a very sad situ­ation. I am pleased to say that in many cases we are able to give them great sup­port and help them through the heal­ing pro­cess so they can over­come this very ser­i­ous con­di­tion of glandu­lar fever or, in some cases with young people, over­come Ross River fever or Barmah Forest fever. This leads me into the all-encom­passing scen­ario of the 21st cen­tury which involves stress, anxi­ety and insom­nia. People do not talk about some­thing like this – they are not run­ning around and talk­ing about how they are suf­fer­ing from stress, suf­fer­ing from insom­nia. However, I know as an acu­punc­ture prac­ti­tion­er with more than 30 years exper­i­ence that we are now peak­ing in terms of stress levels and many of my patients come into my clin­ic with sore backs, sore elbows, head­aches, bad fin­gers or digest­ive prob­lems – and under­ly­ing these con­di­tions in almost 50% of cases is insom­nia. The insom­nia and anxi­ety devel­op togeth­er and this com­bin­a­tion is grow­ing rap­idly, des­pite this being the age of the Internet. The Internet was sup­posed to give us recre­ation and time – more time to relax and enjoy ourselves. Ironically, from a clin­ic­al per­spect­ive, I found that this is just not the case. 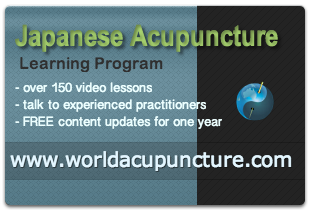 This dis­cus­sion is just a sum­mary of where I have come from, where I am here at the Brisbane Acupuncture clin­ic at the Woolloongabba Cricket Ground. I have been prac­tising acu­punc­ture here in Brisbane for 16 years, the last 14 years of which have been here at the Woolloongabba acu­punc­ture clin­ic.